The salary of Vietnamese civil servants could not keep pace with inflation rate and labor costs though being raised for many times. Paying the same wages for different jobs will certainly reduce creation and working capacity. When can laborers wholeheartedly concentrate on their work with good salary? The news is that the minimum monthly salary of public servants and workers in state-owned business will rise from VND390,000 to VND420,000 to VND450,000. All know that the government has done their best to balance the state budget to improve the living standards of government servants. However, it is clear no one could live with the basic salary. A study releases that government officials and workers could hardly survive with that monthly basic salary, let alone creation and reproduction of labor. For instance, one university graduate plus ten-year experience in any government officers can get a monthly amount of over VND1 million. A department head with 20-year working experience can be paid less than VND2 million a month. Meanwhile, a manual worker can easily earn at least VND1 million a month, a skilled one can bring home an amount of around VND2 million. Especially, employers of foreign investment enterprises can pay hundreds or thousands of US$ for a middle or senior manager. How can Viet Nam deal with this problem when the country is getting closer to the WTO, where there is much competition in the labor market? Once Viet Nam joins WTO, the remuneration policy must be one of the stimulants to the enthusiastism of workers. Earnings must be raised periodically to keep pace with the yearly economic growth. the basic salary must also be fair among the different economic sectors. Some suggest that the government should fix the minimum salary with less intervention in enterprises’ payment policies. Instead, employers and workers will negotiate the real income that can satisfy demands of both sides. It is a paradox that in big companies the increase of compensation does not match the company's growth of profit and productivity. Some bosses pay laborers a modest salary, just slightly higher than the obligatory amount, and just increase it a little yearly. Those are main factors leading to strikes and labor disputes between laborers and owners in the past time. More than 200,000 workers have taken part in salary strikes since late 2005 to early 2006. According to personnel experts, the big gap between the minimum salary in foreign invested companies and state-owned ones is one main reason causing so many strikes. 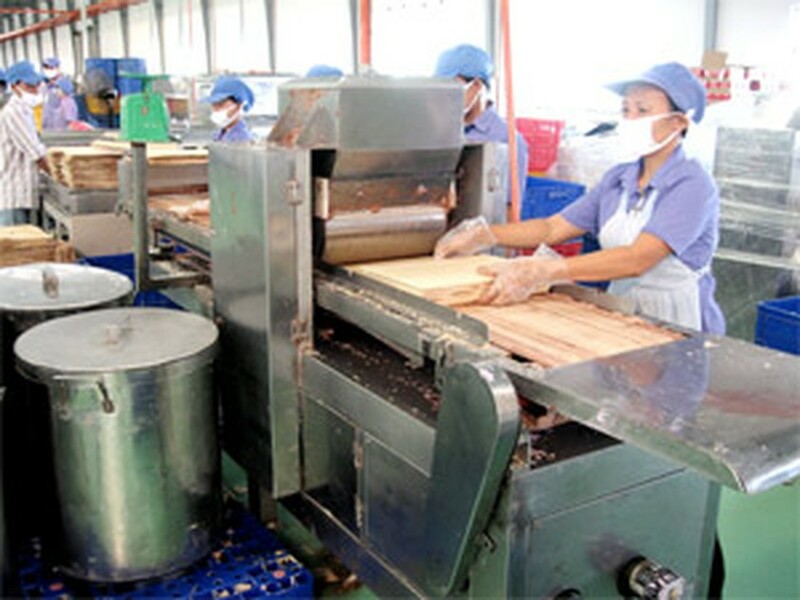 Currently, foreign investors pay workers at least VND710,000 per month, while workers in state-owned companies can take home every month a modest salary of VND350,000. It is high time that the government should fix the minimum salary which in accordance with the supply and demand in the labor market. In addition, the payroll system must be rearranged so that it could somehow evaluate working power of the workers.